The promise of sunnier weather is a nice excuse to engage in a little deep cleaning. While it can be richly rewarding to discover the back of our closets, the clean surfaces of our desks and the joy of riding in an immaculate car, taking a little time to clean out the clutter in our minds can be even more beneficial. Here are a few simple steps to help you get started spring cleaning your brain. First, start by setting aside some time to get everything out of your brain. To borrow from home and office decluttering expert Marie Kondo, founder of the KonMari method, be prepared to approach every thought, by category and all at once. For Kondo's clients, that means, pile everything in the center of the room and go through all of it, one by one. To do the same for our brains, we will need to sit down and make a list of absolutely every thought that is bouncing around in our heads. To get the best results, write everything down, without editing for tense, format or topic. After the initial flow of ideas, to-do lists, dream projects, errands and shopping lists have been piled onto the paper, use this Trigger List from the Getting Things Done (GTD) website to help dig out those dust bunnies from deep in the brain's corners. 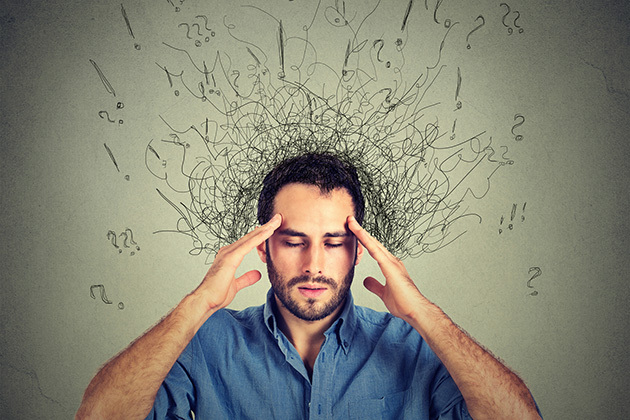 Faced with a massive list of likely hundreds of things occupying our thoughts, it quickly becomes clear why we may be distracted, overwhelmed, tired or a touch irritable. It is like piling everything from the closet on the bed and wondering: How did this ever fit in there? Just like our closets, our brains are holding onto many things that no longer serve us, and it is time to start getting rid of some of it. To do that, we must process it. One of the simplest, most straightforward approaches to processing all the thoughts filling our brains is David Allen's GTD System. Once we have a complete list, we must process what it means by asking if each item is actionable. If it is not, we get rid of it. If it is and can be done in two minutes or less, we do it. Anything other than that gets categorized to be put back in the appropriate place. For KonMari followers, this would be similar to the step where we hold each belonging and ask if it sparks joy; if not, we thank it and off it goes! It may be clear by now that this type of brain cleaning can take just as much, if not more time, than spring cleaning our home. At this point, it should also be clear that we may have been holding on to a lot of thoughts that are simply taking up space instead of serving a purpose. The bottom line is this: Arming ourselves with a categorized list that clearly reflects all the things taking up space in our minds is a great way to kick off spring cleaning our brains.